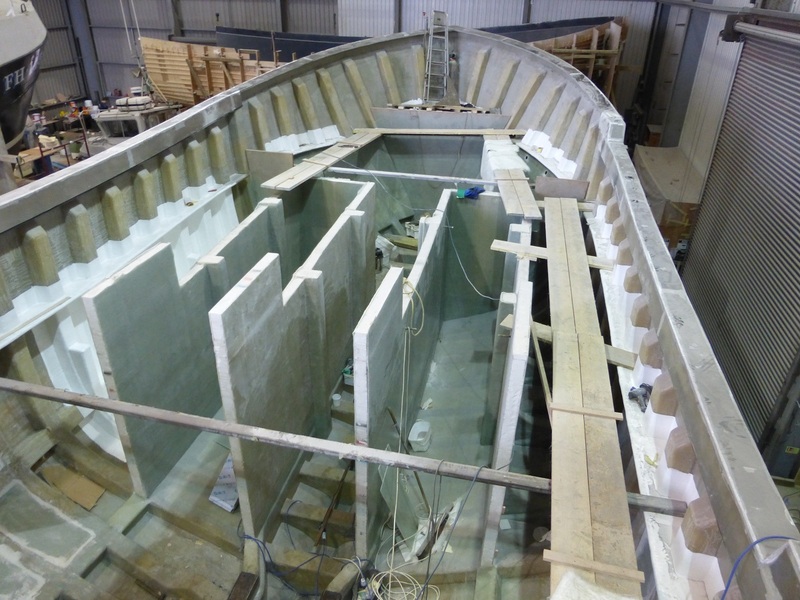 Our experienced UK team of boat builders can manufacture the most innovative boat designs to suit your budget and to the highest possible build standards. We can build any shape or specification. Get in touch for a custom build quote. We are located on South Quay, Padstow on the North coast of Cornwall. 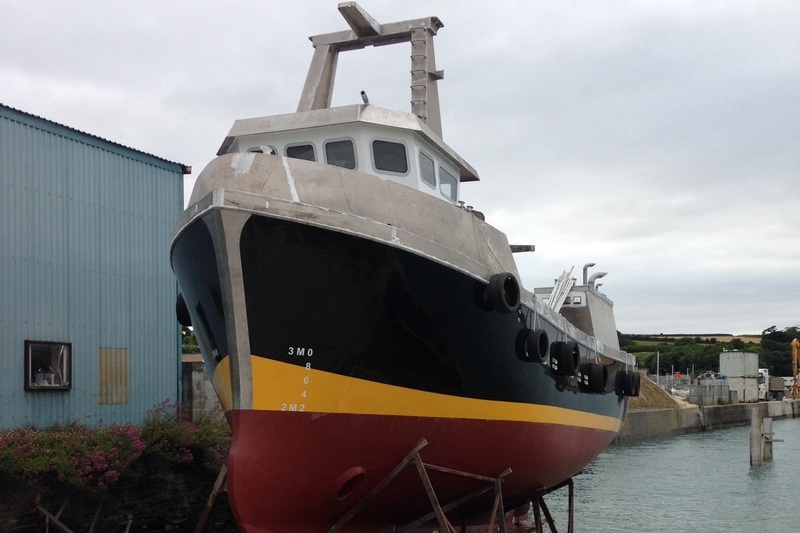 With a slipway, quayside and large work shed facility, we can offer a broad range of boat building services to the whole UK fishing fleet and beyond. 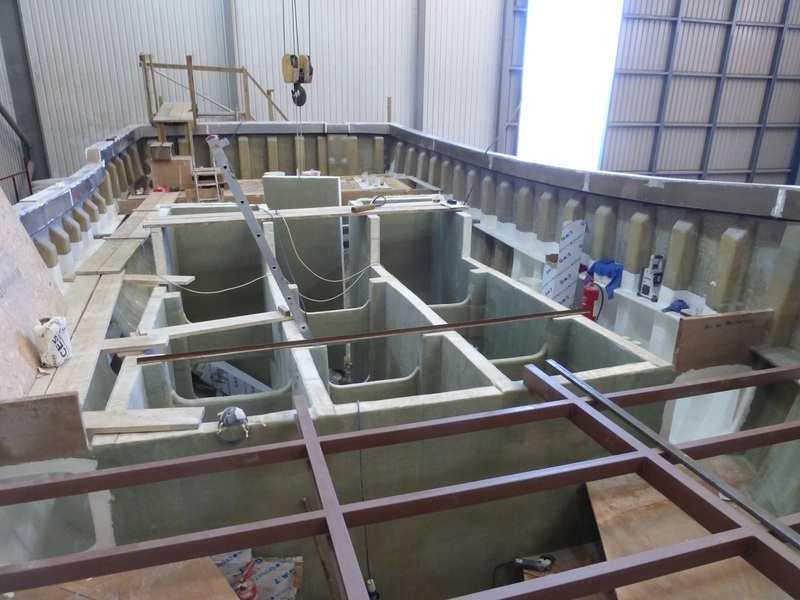 Will Claxton has built up a team of experienced boat build professionals, from GRP composite laminators to welders and engineers. We can take your design idea through the build process to a full commercial sailaway vessel. Today’s fishermen want to be out fishing for longer in deeper and larger fishing boats than ever before. With the need for more stability in rough seas, more capacity to store your catch and more fuel efficient design to enable you to fish for weeks at a time, we can help. 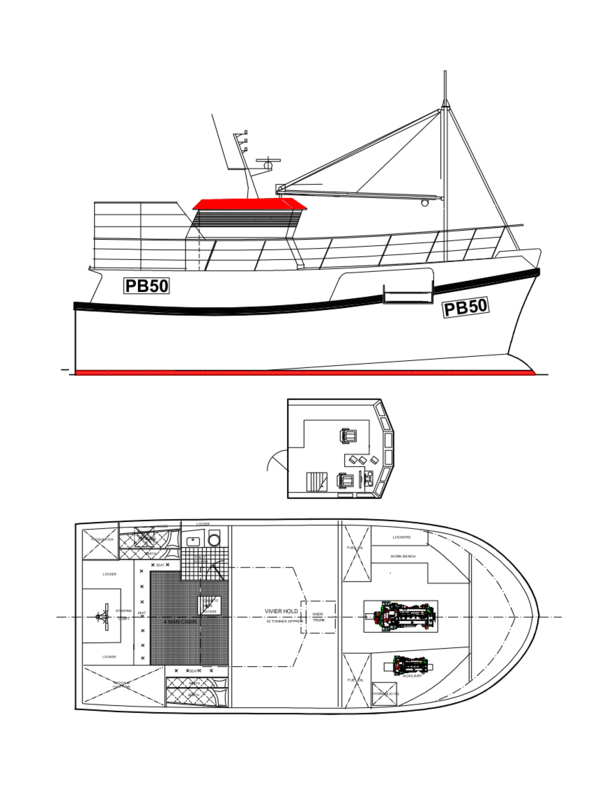 We are currently booking build slots for new Gary Mitchell design 10m, 12m and 15m commercial fishing boats. These are available for sale as stage 1 and 2 as well as fully kitted out to sailaway stage. We can also custom design and build any vessel shape or specification to your requirements. Whether you need the latest hydraulic winches, hauling equipment, vivier tank or engines. 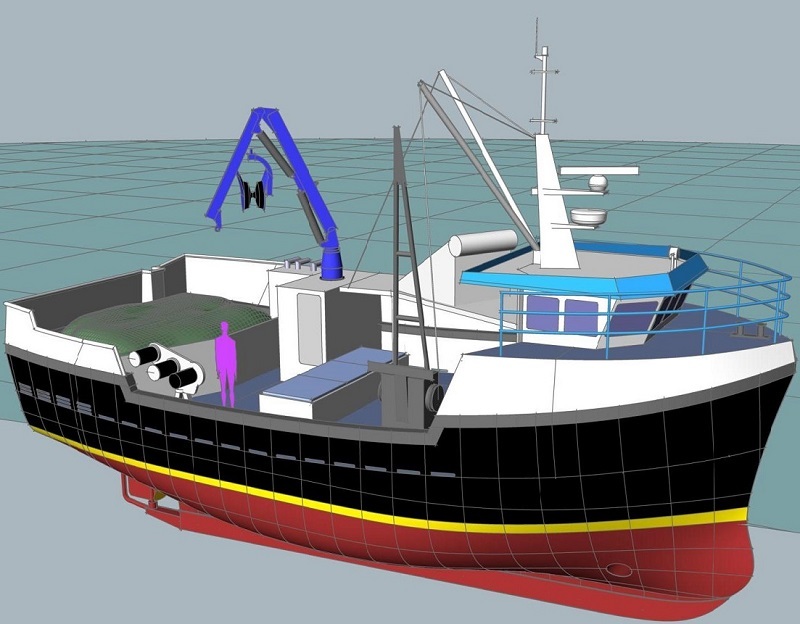 We can cater for all types of commercial fishing setups from crabbing to trawling and can design the custom fishing boat to suit your needs. 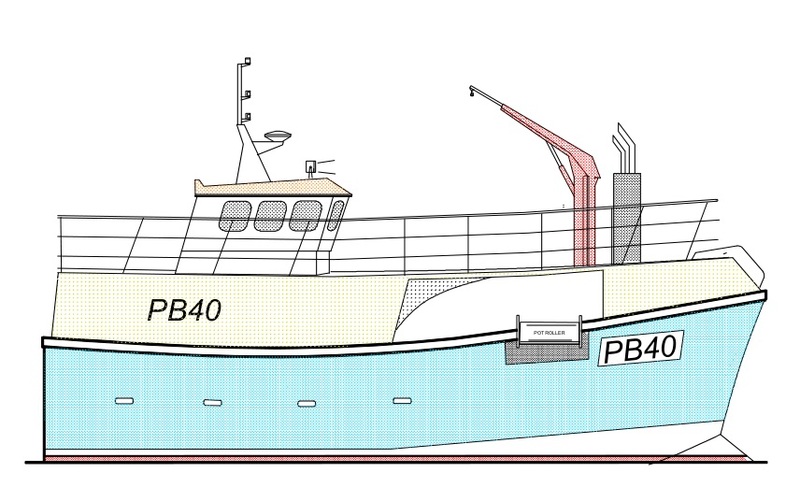 We build commercial fishing boats using the latest GRP boat building techniques, but can also build and repair fishing vessels in steel, wood and carbon composites making us the ideal choice. We have great relationships with specialist marine suppliers throughout the UK and Europe to equip your fishing boat with the best electric, hydraulic and engineering equipment to suit your budget. All new build fishing vessels we have for sale are built to Seafish's strict set of UK construction standards, giving you peace of mind on your boat build project. Our design partner, renowned naval architect Gary Mitchell can custom design the latest in commercial fishing boat shapes to keep you out fishing for longer. 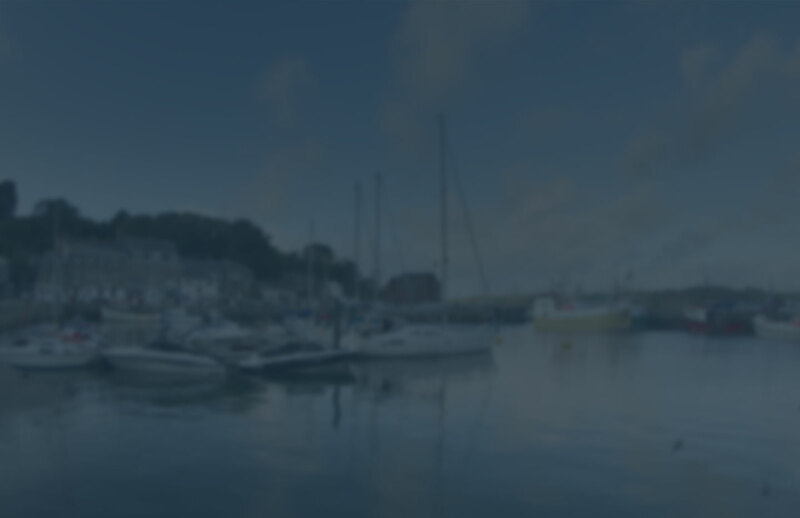 Padstow Boatyard are well respected boat builders in the marine industry offering design, custom build, repair and refit services to GRP and steel commercial fishing boats and marine craft all across the UK and beyond. 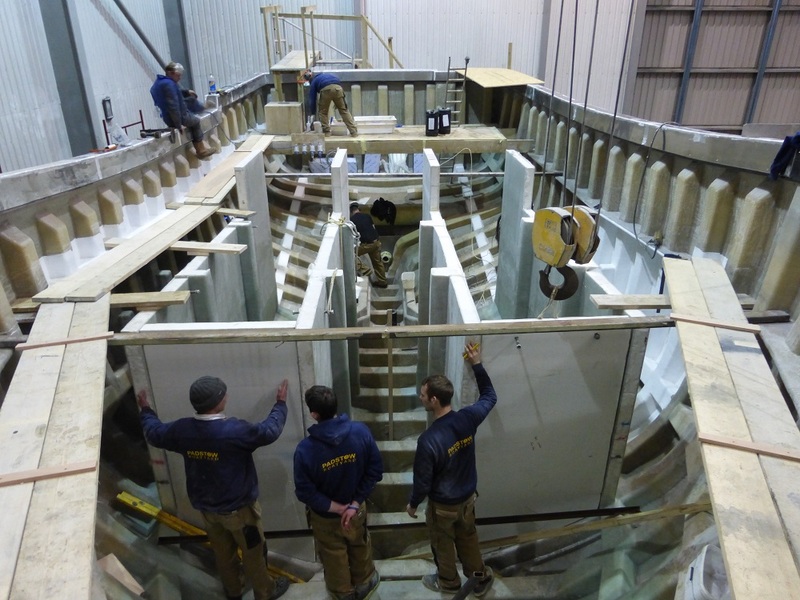 Our skill and know-how make us the ideal choice for your next boat build project at our base in Cornwall. For details of our terms of business and price list please see the links below.